The Marina Multi-Breeder is a multi-purpose breeding chamber that attaches easily to side of aquarium. 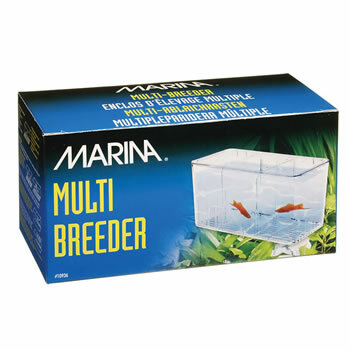 The Breeding Trap provides a safe haven for live-bearing fish and fry, it has two separate areas for expectant fish and segregated bottom compartments that safely collect and protect falling fry. It can also serve as an ideal isolation chamber for sick or weak fish.